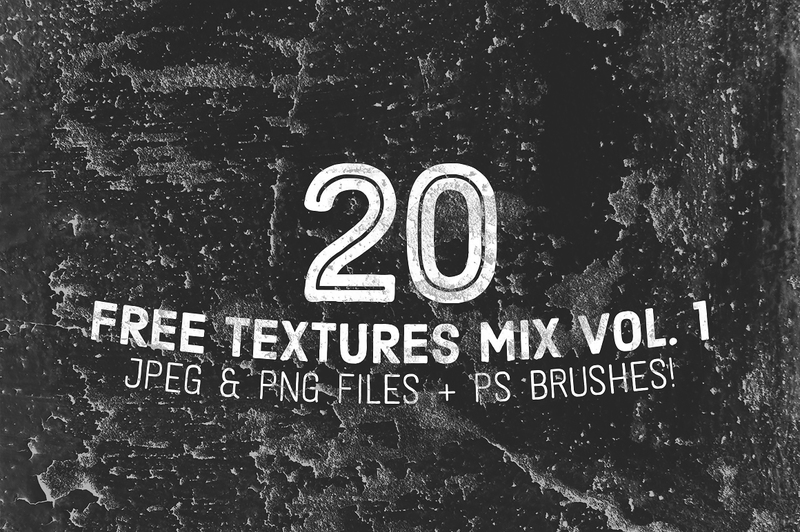 Today’s featured freebie is a wonderful one: a set of 20 textures of different kind of photographed materials (wood, concrete, stone). Use the textures to add beautiful vintage overlays to your backgrounds, photos, posters, graphics, business cards, logos and more. The textures are available both in JPEG and PNG, 3000×2000 pixels at 300 dpi each. Also, the pack contains Photoshop brush set in two versions including the one with compatibility with older versions of Photoshop. The freebie is created by Gabor Manori. See the preview to get an idea of the textures.